I AM MORE THAN A MOTHER: Life with an empty nest: Supporting National Child Abuse Awreness Month! Oh how I miss these two. It is extremely difficult to be the mom of a Navy son. It is a good thing that I have my craft room (which is actually Dalton's old bedroom) to keep me busy and give me a productive outlet! Life with an empty nest is not for me, but I am finding a way to make it work. April is National Child Abuse Awareness month. In support of the children who can be described as "at risk," the I Feel the Love Project is collecting and sending unsigned birthday/thinking of you cards to the Tennyson Center for Children. These cards will be given to the kids on their birthdays or to kids and staff members when they are having a difficult day. Click HERE for details. This is the first of several cards that I plan to make and send in to the kids. 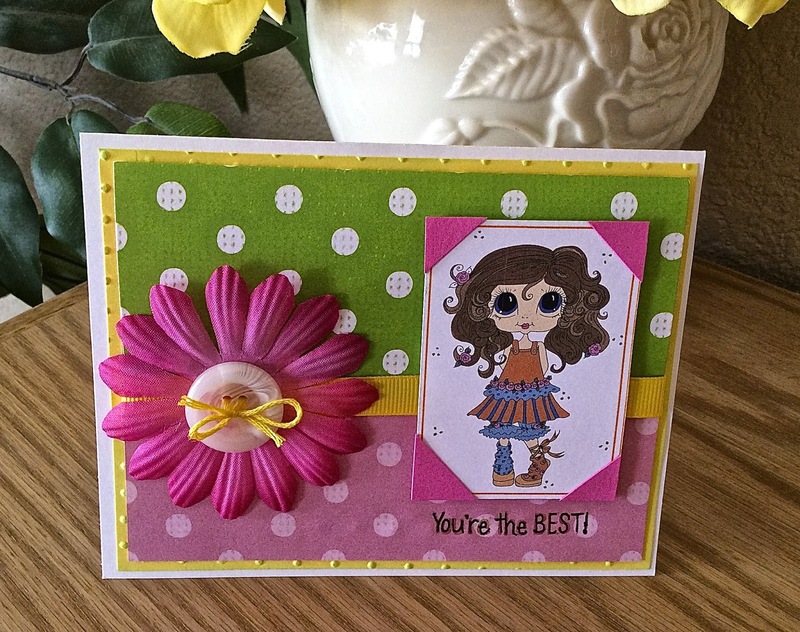 The sentiment is from the "Our Kids" stamp set, which is a product of Pink By Design. This is so adorable- Someone is going to be very happy!! It is a very sweet card> I really like the odd shoes. Thank you for joining us this week and for posting your beautiful project in our Word Art Wednesday challenge. Very pretty card and I love the colors and big flower. Thanks for joining us this week at Through The Craft Room Door.